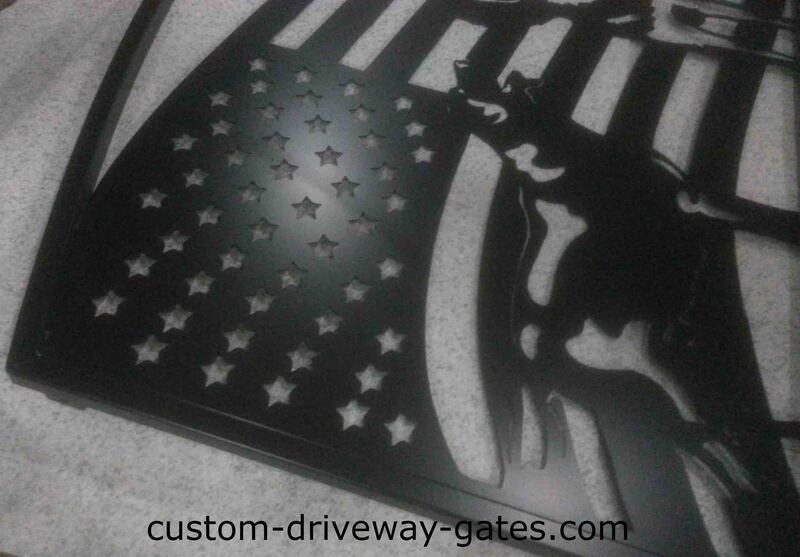 flag driveway gates Archives - Custom Driveway Gates - Iron Steel & Aluminum - JDR Metal Art - FREE Standard Shipping! Buy custom driveway gates handcrafted from steel or aluminum. This gate has a 2″ square tubing frame, 1/8″ wall thickness. The gate hinges are adjustable, maintenance-free sealed roller bearings rated for 3000 lbs. We also supplied 6″ square tubing steel posts for this project. Sandblasted, zinc rich primer and super durable black powder coat finish baked at 400F. 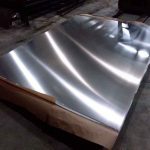 The two-coat system greatly improves the lifespan of the finish, prevents rust from forming beneath the powder coat and even keeps rust from spreading at any scratches that go down to bare metal. Color-matching touchup paint is a great solution to seal any nicks or scratches which seem to inevitably occur during installation. Do You Need To Buy Driveway Gates Online? Quality gates can be hard to find locally or when found are often steeply overpriced. More and more people are turning to buying their driveway gates online. 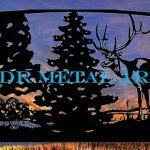 JDR Metal Art has been selling custom gates online for nearly a decade and can help you buy the high-quality driveway gates you are looking for at a competitive price, no matter your location. Do You Want to Buy A Custom Gate Design?